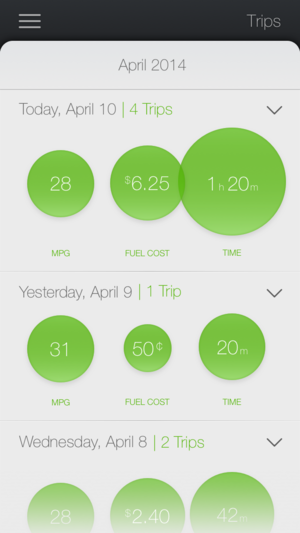 San Francisco drivers have a car insurance problem that car data startup Metromile could solve. Residents of this fair city tend to pay more for auto insurance, because the bean-counters assume a higher rate of dents, thefts, and broken glass. Metromile’s trying a different way. Starting Wednesday it’s offering San Francisco residents insurance based on another risk factor: miles driven. And it knows how much you drive, because it gives you a free dongle that you put into your (1996 or younger) car’s OBD-II port. “So many people own a car and drive 3K-4K-5K miles a year, overpaying by 30 percent, or 40 or 50 percent,” explained Metromile CEO Dan Preston. The Metromile plan actually rewards you for minimizing driving, which is pretty easily done in a city with a burgeoning bicycle culture as well as an established (if sometimes flaky) public transit system. Data from the OBD-II dongle comes back as charts in the Metromile phone app. Metromile differs from Progressive Insurance's program, which uses behavior, rather than miles, to charge for insurance—and isn’t allowed in California. 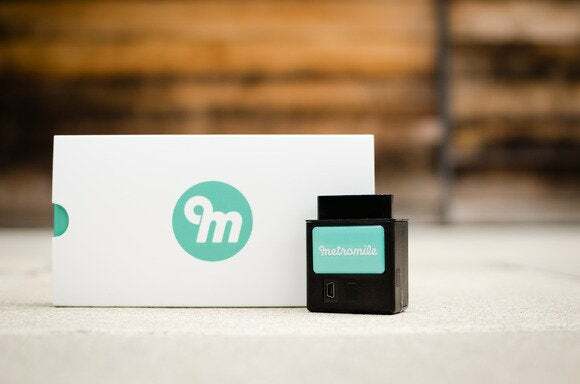 The dongle counts the miles and tracks other vehicle data, sending it all to Metromile. The program already exists in metro areas in Oregon, Washington, and Illinois. The iOS app can analyze your mileage and fuel usage. It also provides vehicle diagnostics, so you can have a more productive conversation with your mechanic. In San Francisco and Chicago, the app even tracks street-cleaning days to help you avoid parking in the wrong place at the wrong time. The app’s cute, but we’ve been waiting for the insurance to venture south. For San Francisco Metromile users who drive fewer than 10,000 miles per year, it could be a great deal. "The city driver is typically using the car on weekends and errands,” noted Preston, rather than logging time and distance on freeways, as many suburban commuters do. The plan for San Francisco (Metromile’s insurance partner is NGIC) starts with a base rate of $30 to $60 per month and 3 to 6 cents for every mile driven, up to 150 miles per day (so don’t worry about paying through the nose for a weekend road trip). The catch is putting the dongle in your car—which means giving up all this data to Metromile and its app. The data’s private, and the company’s giving away the dongle and app for free. But it's one thing to enjoy some charts, and another to switch insurers. We'll see whether Metromile's gimmick wins out. This article was corrected to reflect the full range of insurance pricing, and the lead image was updated. This story, "Drive less, pay less: Metromile pay-per-mile insurance comes to San Francisco" was originally published by TechHive.